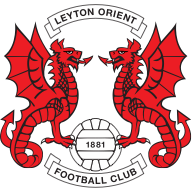 Highlights of the Sky Bet League Two game between Leyton Orient and Northampton. Rod McDonald, Ricky Holmes and a brace from James Collins secured Sky Bet League Two leaders Northampton a 4-0 win at Leyton Orient on Saturday. All the goals came in the second half after a scrappy opening period in which defences were on top. The deadlock was broken in the 55th minute when a wonderfully executed overhead-kick by McDonald flew into the top-right corner of the net. Holmes doubled the Cobblers' advantage 10 minutes later when he controlled the ball on his chest before unleashing a powerful 25-yard volley past Orient goalkeeper Alex Cisak. The league's leading scorer Jay Simpson went close to pulling a goal back when he drilled a shot narrowly wide of the post, but it was Collins who had the final word with two goals in the final six minutes. 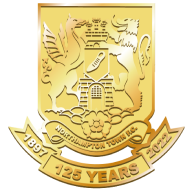 He pounced in a crowded penalty area to stab the ball into the net from close range and then rounded off a fine afternoon for the visitors when he lashed home a shot from the edge of the box to complete Northampton's seventh straight league win.